Hailed as “one of the top ensembles of today” by CNN, Sejong Soloists is a string orchestra formed by acclaimed Juilliard Professor Hyo Kang. The ensemble has engraved the words “Korea” and “Sejong” deep into the minds of a worldwide audience, with over 500 concerts in 120 cities across the globe. The group was also appointed as the first honorary ambassador for the 2018 PyeongChang Winter Olympics. 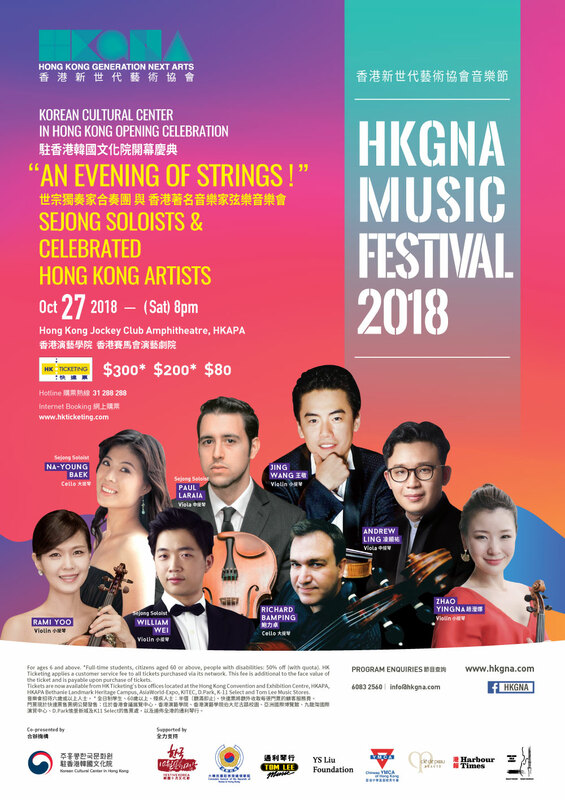 The members of Sejong Soloists: Violinist William Wei, Violist Paul Laraia, Cellist Na-Young Baek are joined by Hong Kong’s best string players, Violinist Jing Wang, Yingna Zhao, Rami Yoo, Violist Andrew Ling, and Cellist Richard Bamping. “An Evening of Strings” will be a night to remember! Lauded by CNN as “one of the best string ensembles in the world,” Sejong Soloists is a string orchestra formed by Juilliard Professor Hyo Kang, who gathered together this talented group of mostly-Korean young artists. 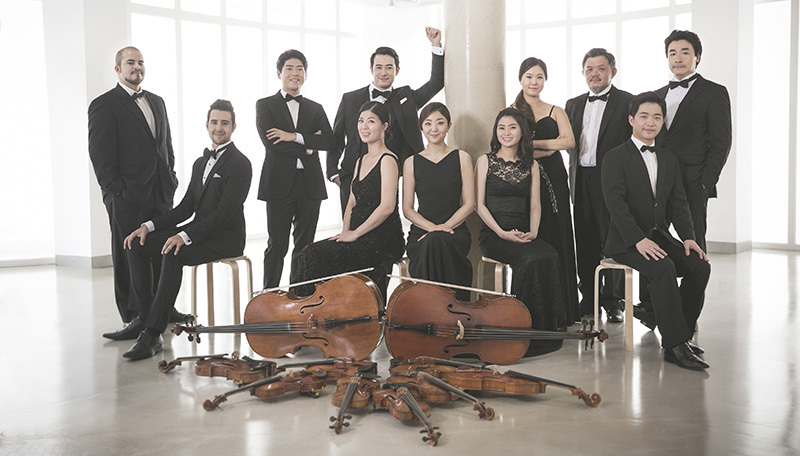 The ensemble has engraved the words “Korea” and “Sejong” deep into the minds of a worldwide audience, with over 500 concerts in 120 cities across the globe. Sejong Soloists was invited to perform at Carnegie Hall and the Kennedy Center in the US, a first for a Korean music group. The group was also appointed as the first honorary ambassador for 2018 PyeongChang Winter Olympics. 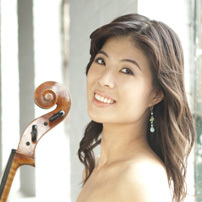 Korean-born cellist Na-Young Baek made her American debut with the Philadelphia orchestra in 2000. 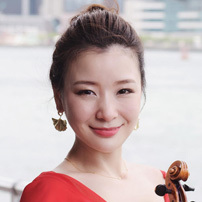 She has also appeared as soloist with the Hudson Valley Philharmonic, DuPage Symphony Orchestra, Seoul Philharmonic, and the Korean Chamber Ensemble. Recent highlights include playing Dvorak Cello Concerto with Wonju Philharmonic Orchestra at Seoul Arts Center and Greenwich Village Orchestra in New York City. She was the youngest winner in history of the prestigious Choong Ang Times competition in Korea and was also awarded the “Virtuoso Prize” at the first Tchaikovsky Competition for Young Musicians in Moscow, Russia. She won the first prize in Hudson Valley Philharmonic Competition and the Holland-America Music Society Competition. An avid chamber musician, she has performed at Marlboro Music Festival, the Great Lakes Chamber Music Festival, Casals Festival in Prades, the Aspen Music Festival, and the Isaac Stern Seminar in Israel. At 15, Ms. Baek entered Curtis as a student of Orlando Cole. She pursued studies with Aldo Parisot on a full-scholarship at Yale School of Music, where she received the “Aldo Parisot Prize.” After the Artist Diploma program at Juilliard, she completed the Doctor of Musical Arts degree at Stony Brook University, where she studied and performed with Colin Carr. Her dissertation, “Historically Informed Playing of Bach Suite No. 5”, was based on the comparison of the fifth cello suite with the corresponding g minor suite written for the lute. Violist Paul Laraia has a multifaceted career as chamber musician, soloist, string quartet violist, and new music performer. Acclaimed for offering “long lines with lyricism and poise”, Paul has in recent seasons been soloist with the orchestras of Pittsburgh, Atlanta, Bogata, New Jersey, Nashville, and St. Paul. 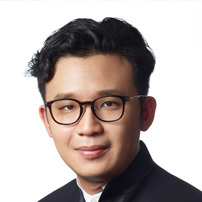 As a member of Sejong Soloists and violist of the Catalyst Quartet since 2013, Paul has performed globally in major venues such as Carnegie Hall’s Stern Auditorium, the Kennedy Center in DC, Seoul Arts Center, Moscow’s Tchaikovsky Hall, and Lincoln Center’s Great Performers Series. Major festival appearances include Yellow Barn, Sarasota, Festival Del Sole, Sitka, Banff, Grand Canyon, and Cornell’s “Mayfest”. 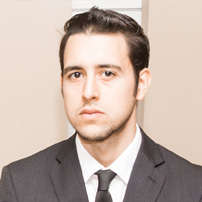 Paul began his viola studies with Brynina Socolofsky, pursuing advanced study with CJ Chang and Che-hung Chen. He completed his bachelor’s degree at New England Conservatory of Music under Kim Kashkashian, with full scholarship. In 2011 Paul won First Prize at Detroit’s Sphinx Competition by unanimous vote, and maintains a close relationship with the Sphinx Organization and its mission. Paul is committed to bringing the highest level of performance to all people, exploring the boundaries of what is traditionally presented as “classical music”. His Quartet has presented concerts to inner city schools, Native American Reservations, hospitals, nursing homes, and to communities with limited access to classical music. Other important solo appearances include the Tchaikovsky Violin Concerto with the Cleveland Orchestra at Severance Hall, and the Bruch Scottish Fantasy with the Juilliard Orchestra and Mendelssohn double concerto with Sejong Soloists at Lincoln Center’s Alice Tully Hall. In addition, William has toured for performances with the Belgium National Orchestra, Taipei Symphony Orchestra, Taipei Philharmonic Symphony Orchestra, Taiwan String Academy, and Mainzer Virtuosi. His festival appearances range from Green Mountain Music Festival in Vermont, to Casalmaggiore music festival in Italy, and venues such as Henry le Boeuf Hall in Belgium, Gasteig Concert Hall in Munich, and Cremona Stradivari Museum (Museo del Violino). William has collaborated with renowned musicians Gil Shaham, Marin Alsop, Jahja Ling, Nai Yuan Hu, Cho Liang Lin, Orion Weiss and Gilbert Varga. William began his violin lessons at age five in his native Taiwan. He recently completed his Bachelor of Music Degree studies at Juilliard with Hyo Kang and I-Hao Lee, as a recipient of the Jerome L. Greene Foundation Scholarship. Mr. Wei performs on an Antonio Stradivarius violin, Cremona, 1683, ex-Cobbett, on loan from Mr. Higgin Kim, Chairman of Byucksan Engineering Co. Ltd through the Stradivari Society of Chicago and Sejong Soloists. Korean violinist, Rami Yoo, is a graduate of Peabody Conservatory of Music (Master of Music), and Yonsei University. She performed as the member of Korean Symphony Orchestra, Festival Orchestra of Seoul Arts Center, and KT Chamber Orchestra. 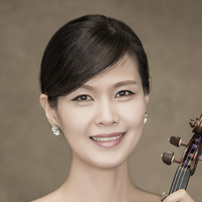 Ms.Yoo also performed in numerous solo recitals including at the Seoul Arts Center, Youngsan Art Hall, Sejong Chamber Hall, and LA Korea Center. She participated and performed in the Asia-Pacific United Orchestra Europe tour in 2012 and Vienna Music festival. Ms. Yoo was a violin faculty at the Yonsei University, Yewon School of music and Seoul Arts Center Music Academy for young artists in Korea. Critically acclaimed Canadian violinist Jing Wang is one of the most versatile and dynamic violinists of his generation. 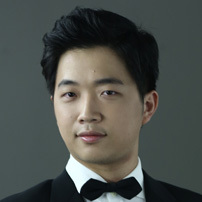 Since his solo recital debut in Marseilles, France at the age of six, Wang has garnered prizes in top international competitions, including the first prize at the 2007 Irving M. Klein International Strings Competition. In 2003, Wang was awarded the “Young Soloist of the Year” by Les Radios Francophones Publiques, a broadcast network of four countries including France, Canada, Switzerland, and Belgium. As a part of the award, Wang’s first CD album including works by Beethoven, Ravel and Gershwin was released in Europe. 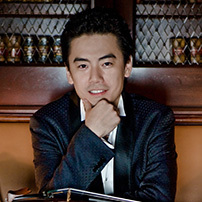 Wang has appeared as a soloist with major orchestras in Europe and North America, including Czech Radio Philharmonic, the Moscow State Symphony Orchestra, l’Orchestre National de Lorraine, l’Orchestre de Picardie, the Metropolitan Orchestra of Montreal, and the Montreal Symphony Orchestra. He has played with the Shanghai Symphony Orchestra under the baton of Zubin Mehta and in November will perform with China Philharmonic under Maestro Osmo Vanska. He has collaborated with renowned conductors such as James DePreist, Claus Peter Flor, Yoav Talmi, Jacques Lacombe, Joseph Rescigno and Anne Manson. Wang’s chamber music performances and solo recitals at major venues, such as National Arts Centre in Ottawa, and Lincoln Center, received critical acclaim and his performances are heard frequently on CBC Radio-Canada. Additionally, Wang is one of the founding members of Ensemble75, a chamber music series based in Dallas, Texas. Under Maestro Graeme Jenkins, Wang was the Concertmaster of the Dallas Opera from 2010-2013. He previously served as guest Concertmaster for the Kansas City Symphony under Maestro Michael Stern and the San Antonio Symphony under Maestro Sebastian Lang-Lessing. Appointed by Maestro Jaap van Zweden, Wang is currently Concertmaster of the Hong Kong Philharmonic since 2013. He plays a 1760 G.B. Guadagnini violin, a loan arranged by the Y. S. Liu Foundation. Zhao Yingna currently holds the position of Principal Second Violin of the Hong Kong Philharmonic Orchestra. Prior to coming to Hong Kong, Zhao has attended the Hanns Eisler School of Music in Berlin where she received both bachelor’s and master’s degrees. While in Germany, she was the Assistant Principal Second Violin of the Deutsche Oper, Berlin. In 2005, she was first appointed concertmaster and soloist of the Schleswig-Holstein Music Festival Orchestra, which collaborated with world-renowned conductors such as Christoph Eschenbach, Christopher Hogwood, Herbert Blomstedt, Ivan Fischer, and Mikhail Pletnev. Zhao was a first prize winner of the International Violin Competition, “Andrea Postacchini” in Italy. She was also a winner of the “Deutsche Stiftung Musikleben” of Hamburg, in recognition of which she was awarded a Carlo Giuseppe Testore violin from the German Music Instruments Foundation. Ling began studying the violin at the age of six under the tutelage of the late Professor Lin Yaoji of the Central Conservatory of Music, Beijing. As a child, he toured around the world as a violin soloist with the Hong Kong Yip’s Children’s Choir, He has also collaborated with the Hong Kong Philharmonic Orchestra, the Hong Kong Chinese Orchestra and the China Film Philharmonic Orchestra, and has given recitals in Hong Kong, the North America and Europe. 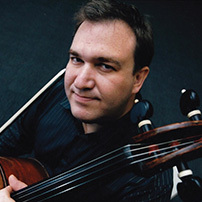 Richard Bamping has been the Principal Cellist of the HK Phil since 1993. He has performed with many of the finest musicians of recent history—Lord Yehudi Menuhin, Leonidas Kavakos, Mstislav Rostropovich, Carlo Maria Guilini, Valery Gergiev, Leonard Bernstein, Lorin Maazel, Sir Colin Davis and Claudio Abbado, to name but a few. Bamping has performed many of the staples of the solo cello repertoire with orchestras from Europe to the Far East. He has a great passion for playing chamber music with friends and colleagues whenever he gets the chance. Bamping’s cello, dated 1674 was made in Cremona by Andrea Guarneri and is one of only nine surviving examples of his work.